Plattsburgh, New York is pushing to regulate crypto mining operations in order to protect their residents’ safety and wallets. To thrive, Bitcoin mining operations require access to cheap electricity and – preferably – cooler climates. However, in the case of the former, this could result in non-mining entities, like city residents and businesses, having to pay higher tariffs when it comes to power. It’s not just about a bigger bill either. The high level of noise is a concern for people living or working close to mining operations. There are a few courses of action in place in different cities. Some authorities feel that miners need to be paying more for electricity, while some areas, like Ephrata in Washington, have issued moratoriums to halt the approval of new mining operations in the city. The public is well aware that the cryptocurrency industry has been relying heavily on the city’s cheap industrial power rates. These tariffs are due to the fact that the city’s Municipal Lighting Department (MLD) purchases cheap hydropower from the New York Power Authority operations on the St. Lawrence River. However, once this power is all used, the MLD needs to purchase more on the open market, which is not as cheap. In fact, its seven times more expensive. The city, and other similarly concerned municipalities, were successful in petitioning the Public Service Commission to impose a new tariff structure that requires the cryptocurrency industry to pay for the entire amount of electricity quota overages they induce. No longer would other ratepayers have to pay for a problem of the cryptocurrency industry’s creation. The result of these efforts is a proposed local law which defines this activity, requires fire suppression within a contained structure, imposes heat and noise limits, and enacts zoning changes so that these mines would only be allowed via a special use permit within an industrial zone. The combination of our petition to the New York State Public Service Commission and these sensible proposals to modify our local laws should protect our citizens and act as a model for other municipalities around the country and the world that are trying to cope with such rapid growth of this industry in their communities. Do you think that regulating crypto mining is the best solution? Why or why not? Let us know in the comments below! The cryptocurrency mining industry gets a lot of attention lately. Its perceived energy usage remains a topic of substantial debate. Icelandic farmers may have come up with a viable and sustainable solution in this regard. Several initiatives show how this business can be accommodated without any side effects. The reports condemning cryptocurrency mining and its electricity use are growing in number. A lot of experts have different views on this business model and how it affects communities and even cities. In Iceland, several Bitcoin mining firms are in operation today. All of them rely on the country’s abundance of renewable energy. At the same time, even that approach may not be entirely sustainable. To counter this problem, local farmers have come up with a new solution. Especially smaller operations can benefit from this approach in its current form. One small cryptocurrency mining operator pays neighboring farmers for their excess geothermal energy. Moreover, she installs the mining hardware to use excess power for other uses, such as heating. The conditions in Iceland are unique, as they allow for such business models to thrive. The excess geothermal energy can be converted to electricity. With this electricity, her mining units can heat up stables and other storage spaces remaining empty otherwise. It is a business model which creates a win-win situation for all parties involved. For the mining operator, it removes any concerns regarding the scaling of her operation at her own farm. A very unorthodox business model which seems to work out quite well so far. This particular business model can be lucrative under the right conditions. However, it is not necessarily a concept which can be taken to the next level with ease. There are plenty of farms with geothermal energy across Iceland, but not every owner will approve the idea of having a cryptocurrency mining operation generate heat on their premises. Convincing farmers is still an issue, even for this small mining operation. Installing strange and noisy machines in their barns is a very alien concept. 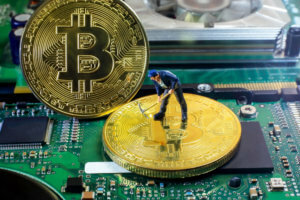 A lot of people are still unfamiliar with cryptocurrency mining despite its popularity growing significantly. At the same time, those who take advantage of the opportunity appear to be happy with the business deal. How long this “peaceful” situation remains in place, is unclear. Ventures like these show cryptocurrency mining is an evolving industry. 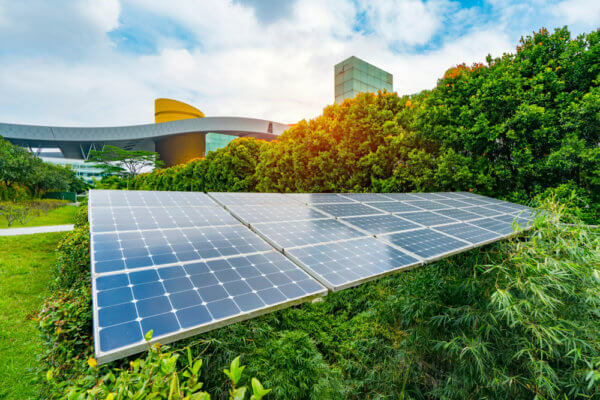 Rather than disrupting power grids, enthusiasts and companies are looking for more sustainable solutions. Conditions in Iceland are unique in this regard, which allows for out-of-the-box thinking. Solving cryptocurrency’s ecological “problems” will not happen overnight. Even so, it is not the most harmful mining industry in the world today. Do you think that this solution can be scaled to work for larger crypto mining operations? Let us know in the comments below. The move by the U.S government added the equipment to the list of Chinese goods subject to nearly 30 percent tariffs, up from zero previously, reported the South China Morning Post on October 16, 2018. As reported by BTCManager, earlier in August 2018, “the big three” in the Bitcoin mining equipment manufacturing industry, Bitmain, Canaan Creative, and Ebang are making active preparations to launch their IPO targeted at raising billions of dollars for their business expansion. However, with the June 2018 reclassification of Bitmain’s Antminer S9 bitcoin mining equipment as “electrical machinery apparatus” by the office of the United States Trade Representative (USTR), and the new import tariffs on Chinese goods by President Trump which went live on August 23, 2018, attracting nearly a 30 percent tariff on Chinese cryptocurrency mining machines, the future undoubtedly looks very bleak for these firms. “All manufacturers of mining rigs based in China will likely be affected by the tariff code change and, in turn, captured by the U.S. trade tariff,” said Ben Gagnon, co-founder of LuTech, a Bitcoin mining equipment developer. While Canaan and Ebang are reportedly looking to raise $400 million and $1 billion respectively in their IPOs, the world’s largest bitcoin mining hardware manufacturer Bitmain seeks to generate a whopping $3 billion from the fundraiser. End of the Road for Bitmain? Per sources close to the matter, the highly reputed ASICs cryptocurrency mining machine maker will be most affected by the ongoing trade war between the United States and China, as the firm’s overseas sales reportedly contributed an impressive 51 percent and 51.8 percent of its total revenue in 2016 and 2017 respectively. Although Bitmain did not mention the specific regions it made the most overseas sales last year, it’s most likely that the U.S. market may have had a hand in the company’s previous success, since the firm has already expanded operations to the United States. On the other hand, Canaan and Ebang International have stated that overseas sales only contributed a meager 8.5 percent and 3.8 percent to their total 2017 revenues respectively. As reported by BTCManager on September 20, 2018, it may be almost impossible for Bitmain to achieve the same level of success it enjoyed last year, as more competitors are venturing into the crypto mining space and the new U.S. trade tariff will only worsen the situation for the Beijing-based bitcoin big whale.